MG Maps is perhaps one of the most well-rounded weather map design packages available to the public from a non-commercial company. MG Maps contains a multitude of GIS elements converted over to raster format for use in Photoshop to maximize layer handling due to the vast amount of data included. The mapping in MG Maps has been worked on since 2012, fine tuned and in some cases completely redesigned in its lifetime, with major updates made for every year and current design trend seen in media and web forecasts. MG Maps features fully layered mapping elements within each of the three versions of the packages’ Photoshop document, meaning you can enable and disable what you want, as well as underlay and overlay certain map effects and data over and under specific layers of the map. Mapping layers include an enhanced & modified Blue Marble basemap, bathymetry in the seas, country, state (and U.S. counties), and province outlines, as well as major cities/towns throughout the world. In the United States versions, major highways and interstates are included, while in the Global version graticules of latitude and longitude are included as an option to overlay in the seas. 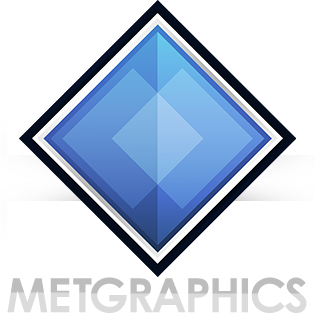 MetSymbol Kit, included with MG Maps, makes this layered mapping product the ultimate weather map design tool. MetSymbol Kit includes a massive selection of weather map elements, such as dozens of pressure symbols, fronts, a massive selection of tropical storm & hurricane symbols, storm system cloud spirals, directional arrows, keys for a variety of certain parameters and indices, and much more. Combined with the beautiful maps MetGraphics has produced for MG Maps, there isn’t a better weather map design package available on the net available to everyone. For users specifically interested in North America, MG Maps Pro & Lite are the two versions you’ll want to work with most of the time. The only difference between the two North American versions is that Pro features the highest resolution mapping, thus requiring a large amount of system (computer) resources to open and work with it. Lite on the other hand is scaled down to half the resolution, meaning if you need to work faster or have a less powerful system, it should work for you. The Global version is for users around the world, featuring what you’d probably expect: detailed mapping of the entire world, including all the country/state/province outlines in addition to the ocean effects (bathymetry) and major cities around the world. If you’re tired of using flat, barren, pixelated, or overused maps you find or snag from strange corners and shacks around the internet, MG Maps is the solution you’ve been seeking.